The John Kilby League Cup is scheduled to start with an imposing Irish derby, not between two Irish clubs’ first teams but between Lansdowne Bhoys Reserve and NY Shamrock SC’s A-Team on Wednesday at 7:00 p.m. at Randall’s Island Field 70. 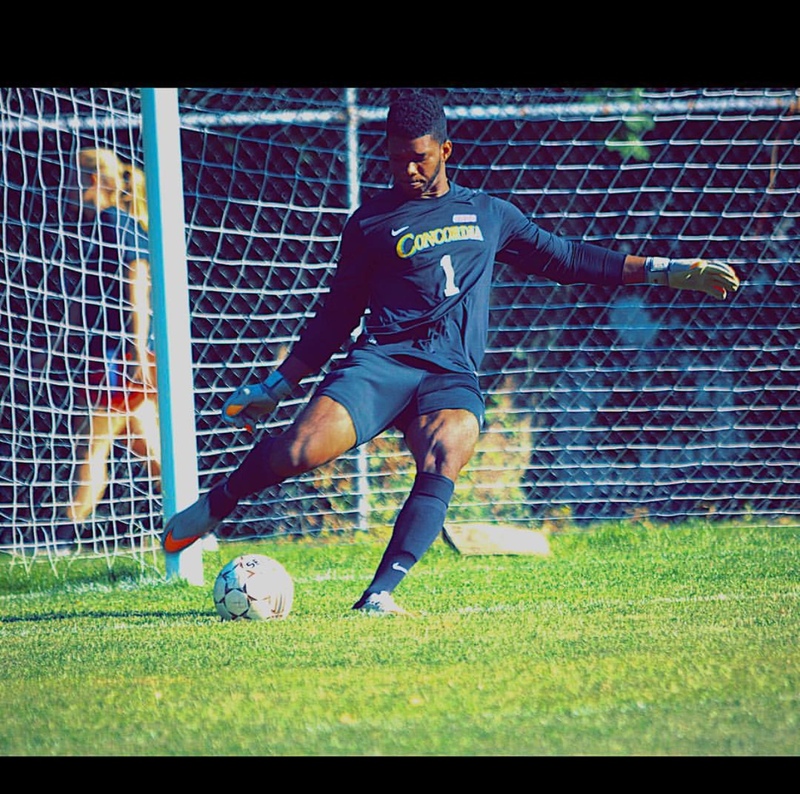 CSL reporter Ralph “Onz” Chery caught up with the best D1 Reserve shot-stopper statistically and former Concordia College wonder keeper: Lansdowne Reserve goalkeeper Ruel Gordon, before the massive fixture on Wednesday. Lansdowne Bhoys Reserve keeper Ruel Gordon in his days with Concordia College. Concordia (N.Y.) College Athletics Multimedia and Communications Department Images. Q: Lansdowne Reserve's opening game in the League Cup is against Shamrocks' first team. What's in your mind before that one? A: The approach to this game is no different in comparison to other games. Our objective as a team is to go out there and win and to do our best. We know it’s a different challenge presented to us and a team with arguably more talent but our mindset still remains the same. Q: It's an Irish Derby in a cup game and a reserve versus first team battle. This certainly adds more flavor to the rivalry, how would you describe the anticipation behind this game around the club? A: We understand that it’s an Irish Derby which brings more flavor to it and in essence it’s the reserve versus first team. However, we are ready to take such challenge. We have a talented group of guys that are capable of playing at a high level, even in any first team in this league. Q: A few reserve teams upsetted first teams in the League Cup last year. With this in mind, what would you say it's like entering the League Cup as a reserve team? A: This is soccer and anything can happen, the ball is round, and it is down to who wants it more. Whether, it’s reserves or first team opponents the principle remains the same, the harder working team along with a few moments of brilliance win games. I believe that, hard work beats talent if talent doesn’t work hard. Thereby, Shamrocks can have more individual talent than us, however that doesn’t say they are already winners of a soccer match, it’s what you do on the day for 90 minutes. Q: The team lost for the first time in the league last weekend to Central Park Rangers Reserve 3-1. How do you think this result will affect Wednesday's game against the Rocks? A: No, the loss on Sunday doesn’t demoralize us as a team. Sometimes, a loss is good so it can be used as a lesson and as a benchmark for us to grow as a team. Q: Shamrocks have the second top scorer of the first division, James Whyte. He scored a hat trick in his last game. From your experience, what does it take to stop a prolific goal scorer like Whyte? A: We believe in teamwork, Together-Each-Achieve- More. To stop a particular player is not our main focus because, there are ten other guys that can score and hurt us on the day. That doesn’t say we are not going to keep an eye on James Whyte, we also have a James [defender James Walters] (laughed), who can shut down any player one-on-one which I’ve seen him done personally playing with him the last 12 years or so.